BEIJING -- Volkswagen Group is in talks to form a joint venture with China's Didi Chuxing to manage part of the ride-hailing company's fleet of cars and help develop "purpose-built" vehicles for Didi's services. As part of the deal between VW and China's biggest ride-hailing service, expected to be signed early next month, the German automaker will initially manage a fleet of about 100,000 new vehicles for Didi, of which two-thirds will be VW Group cars, said a senior executive at the automaker. The growing popularity of ride-hailing services for commuting and running errands in congested cities such as Beijing and Shanghai are showing early signs of reducing private car ownership. This could have serious consequences for existing automakers and is forcing companies like VW to reinvent their businesses and seek out future revenue streams. "To succeed as a car company in this new ecosystem, we need to know who our customer is, what their journey is and what our strategy should be," the executive said. He added that this deal will eventually give VW access to some of Didi's massive trove of data on customer behavior collected through the 3 million rides Didi provides in China each day. The ultimate goal is the production and use of autonomous cars, the VW executive said. VW's partnership with Didi is the first known project Didi has begun pursuing as part of a broad alliance the Chinese company recently formed with 31 automakers and parts suppliers. Didi has said it formed the alliance to collaborate on, among other things, eventually developing cars purpose-built for its services. For instance, as many as 80 percent of Didi customers ride alone and don't need a big four-seater car, the VW executive said. While current vehicles can go as fast as 250 kph (150 mph), dedicated ride-sharing vehicles would always travel much slower, so they would not need to be aerodynamic or have a powerful engine. That could allow for fewer seats and more room for luggage. Didi has also predicted much of its future fleet would be electric. The company has begun working with Chinese automakers GAC Motor and CHJ Automotive to design EVs, sources have told Reuters. Three Didi officials said the ultimate shape of a new ride-sharing market is still unclear and no one knows what role car manufacturers and Didi itself will play in it. Open questions for Didi are how to repair, maintain and direct a fleet of autonomous vehicles, one of the officials said. "Our understanding right now is that probably automakers don't know 100 percent how to do all that. Didi also doesn’t know either," the official said. A spokesperson for Didi said both sides were still working out the details of how the partnership would look. "Potentially, both parties will focus on building together a fleet operation business, and look into other potential areas such as designing new car models for ride-hailing," the spokesperson said. The Didi officials did not want to be named because they are not authorized to talk to reporters. After years of resistance and efforts to keep technology-based ride companies at arm's length and vowing never to be like contract manufacturers are to the mobile phone sellers, automakers are becoming more flexible. The car industry has always feared becoming like Taipei-headquartered electronics company Foxconn, which manufactures millions of phones for companies including Apple, but only gets a slim share of the profits in return. But now automakers are warming to collaboration. This year, manufacturers such as Fiat Chrysler Automobiles, Jaguar Land Rover and Honda Motor entered into an agreement to provide thousands of cars to Alphabet's self-driving unit, Waymo, while Volvo has supplied its XC90 SUVs to Uber. VW has lagged its rivals Daimler and BMW in embracing some newer technologies but has recently stepped up its efforts. It has created a war chest of 15 billion euros (13.2 billion pounds), which it plans to use for investments in ride-hailing, autonomous driving, digitalization, electric mobility and other services in China by 2022. It has already invested in an artificial intelligence firm called Mobvoi, a car-sharing company Shouqi and a second-hand car buying company. Volkswagen is also in talks to invest in a luxury ride-hailing company and an EV charging business, the executive said. Once Volkswagen has access to customer data, it will be able to make better-informed decisions on future businesses and products. "We will explore additional business models with Didi," the executive said, adding that these may not necessarily be focused only on China. 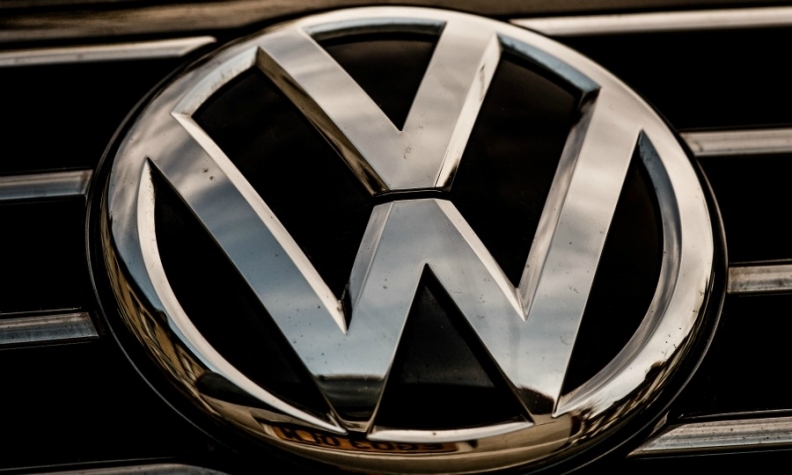 Volkswagen is internally discussing bus and truck sharing. "We don't need to have all the answers. The money we plan to put into the first phase should help us find some," he said. The executive did not say whether the new cars provided by VW would be electric, hybrid or gasoline.